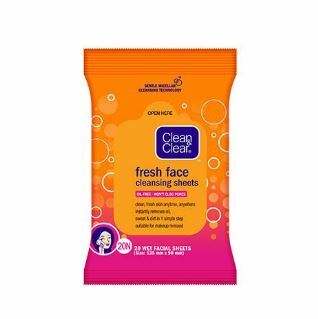 Clean & Clear Face Cleansing Sheets – Hi Guys, Here is Another Freebies Loot For You Guys, We Have Found Out an Official Offer From Clean & Clear Website , From Which You Can Get Free Clean & Clear Face Cleansing Sheets For Refreshing Face. We are Regularly Posting The Freebies & Free Products Loots. We Have Recently Posted The Amazon Free Rs.300 Pentry Loot , Which You Should Must Check Out. New CLEAN & CLEAR® Cleansing Sheets remove oil, dirt, and sweat in just one simple step, no rinsing required. They are gentler on your skin than a handkerchief, smell great & come in a palm-sized pack so you can take them with you, wherever you go! 4. Just Fill Out Your Correct Details Like : Name , Number , Email , Address , Pin Code Etc. 5. Finally Click On Submit !! All products offered as part of this Offer are non-transferable, non-refundable and non-exchangeable for other products or cash, shall be accepted as they are and are subject to any terms and conditions as may be imposed by the Organizer and/or manufacturer. Notwithstanding anything in these Terms and Conditions, the Organizer reserves the right at any time and at its sole and absolute discretion, to substitute, withdraw or cancel any offer without prior notice and without having to disclose any reason therefor and without any payment or compensation whatsoever in lieu thereof.